The original bathroom. Drummy and cracked tiles are removed. Hope the ones on order match! After the flurry of activity last year, I’ve just sat back and enjoyed the Convent with it’s freshly painted interior, polished floors, carpeted bedrooms, curtains and some furniture. It’s been nice having the place to myself and not having to make decisions and co-ordinate the tradies for a while. 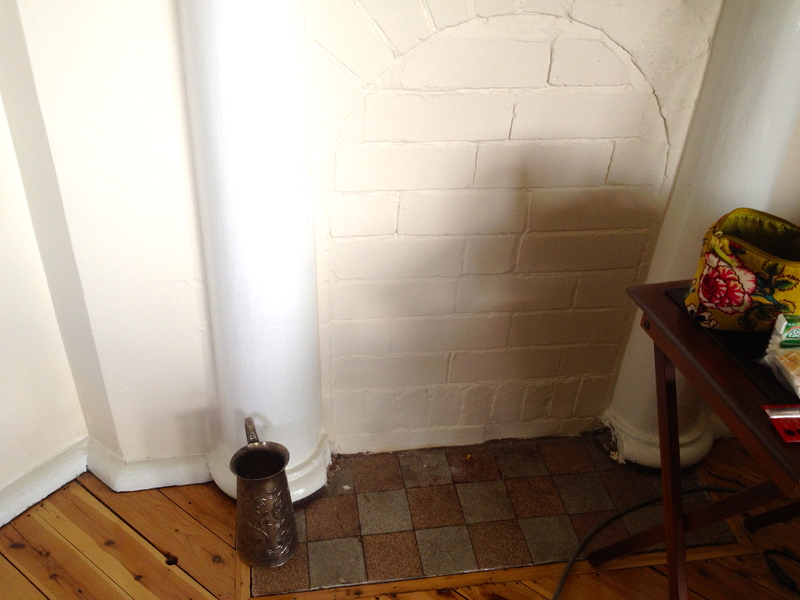 The fibro sheeting partially removed from the fireplace in the dining room. Looks in good condition. The original tiles are intact. Some of the preparation has started and I’m keen to get done what I can this year. 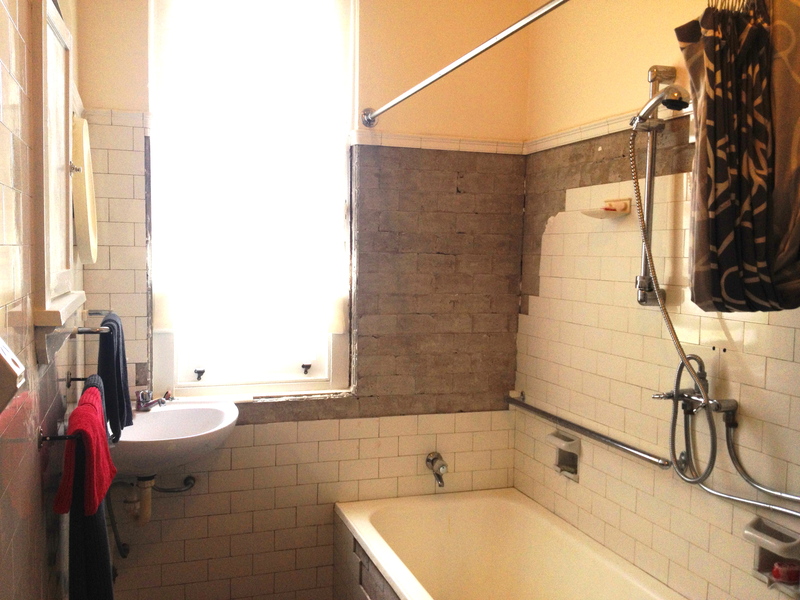 The aim is to retain original features where they still remain. I’m also starting to add to the furniture, given this is a pretty big place to furnish. One of the challenges is that although there are lots of rooms, none of them are particularly large. Quite a bit of the period furniture I like has been made for much larger houses so I need to choose smaller pieces when they come up. I’m finding the auction houses particularly useful and good value however given my distance I’m limited to absentee bids with all viewing done over the internet, so it can be a little hit and miss at times. I’m just very careful to bid conservatively in case it’s not quite up to expectations. So far there have been few disappointments with purchases (although many disappointments with pieces I’ve missed out on for want of another $10 or $20 but wasn’t there for the live bidding). All in all, the Convent is coming along nicely and is looking very much like a comfortable home with its own character. 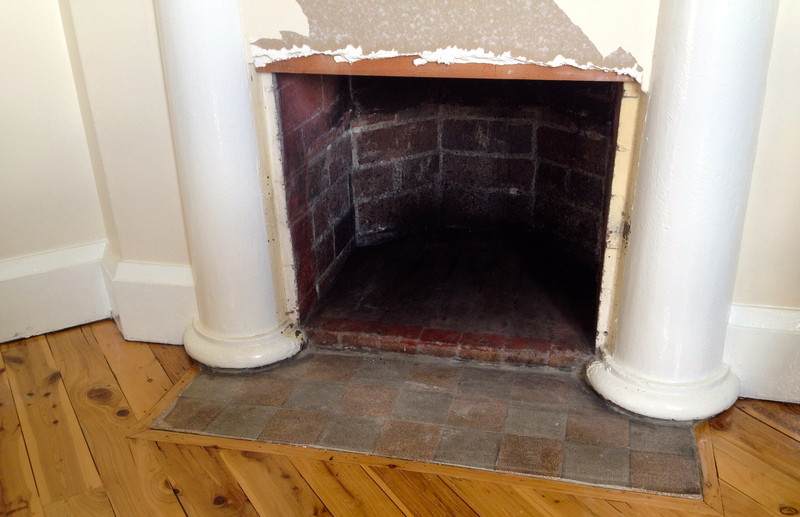 The fireplace in the lounge room has been bricked in for many years but will soon be reopened. Looks great, fireplace looks promising. Looking forward to the reno pictures. Already love the fireplace. Sorry Maria. Just saw this. Am so looking forward to an open fire. Markets are on again tomorrow – they are supposed to be a big one for Easter. Bring new life to your garden! Cementa15 will be from April 9 to 12, 2015 in Kandos, NSW.